"Put simply, [Pinkerton] cannot use trademark law to own the past and prevent creators from including historical references to Pinkerton agents in depictions of the American West," Take-Two said. 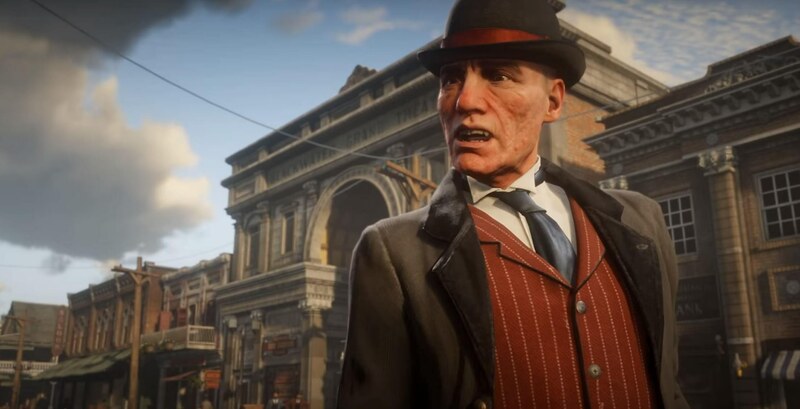 The game company adds that the Pinkertons have appeared in media for years, including the 1980 movie The Long Riders, TV show Deadwood, and the Elton John song "Ballad of a Well-Known Gun." It’s not even the first time the name has been used in a game; the protagonist in BioShock Infinite, Booker DeWitt, is a former Pinkerton agent. Take-Two also points out that the original Pinkerton name and badge is used in Red Dead Redemption 2, not the current ones, and that the Pinkertons only appear in 10 of the game's 106 missions. Reehahs and Footlong like this. Can't believe they didn't mention the movie Matewan. Lawyers are leeches. Keep them out. I didn't even know the Pinkertons were still around. Yet somehow they managed to leave the punk band "The Pinkerton Thugs" alone. Well, at least their name is fitting. Hilarious how they can claim the real-life Pinkerton agency is a Swedish sub, now, instead of the Langley it actually became. Using Hearst funding, no less, from Deadwood itself.